On Tuesday I was supposed to begin my 28th year of teaching. I am a special education teacher and I hold a Master’s degree in education. I am also a writer, speaker, poet, doodler, singer, social justice activist, and probably most important… a mother. And it is from a mother’s perspective that I want to take a closer look at class size and composition. It seems these words are being spoken with increased frequency and are at the centre of many discussions regarding the labour dispute between BC teachers and the government, but I am not convinced that the importance of class size and composition are fully understood. This is highlighted by the Ministry of Education’s implication or suggestion that class size and composition should somehow be considered a part of the teachers’ benefits package, which is absolutely ludicrous. If the government is serious (and I suspect they are) their lack of understanding is truly horrifying. However, the fact that they refuse to restore the class size and composition provisions that they illegally stripped from the teachers’ contract, is a disheartening indication that this is likely the case. Either that… or they truly, TRULY do not care about students like my son, which I find even more disheartening. As a society, we should be investing our resources in educating all of our kids and paying attention to class size and composition is a critical part of that. Let me explain why – from a mother’s perspective. My son, H, began Kindergarten in September 2004 and now, in 2014, he is ready to begin grade 10. He and his peers are a generation of students who have never had the benefit of class size and composition assurances, and I can tell you with certainty, that this has had a negative impact upon their education. You see, I am a parent of a wonderful 15-year-old son who is Autistic and needs support and accommodations at school: he thinks differently and he learns differently. But though his school put forth their best effort to support him, by the time he was in the intermediate grades, my son was spending a considerable amount of time in the hallway, usually hiding behind his coat. And let me be clear here, although I am a mother of a son whose needs were not met in the mainstream public education setting, I am not vilifying the school or the teachers or the excellent support staff that worked to support my child. The reality is that the school, as a system, lacked the capacity and resources to give my kid what he needed. 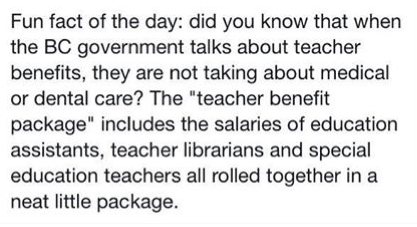 I do, however, blame the government for underfunding the system and for tearing up the contract that guaranteed smaller class sizes with a class composition that made it possible to effectively support a student like my son. It seems grossly unfair to me that my child was in the hallway because, given the class size and needs of the rest of the students, this seemed to be the most practical way to cope with his learning differences. He was anxious – so he was permitted a break. The difficulty with this response was that it did nothing to resolve the situation that caused his anxiety in the first place. 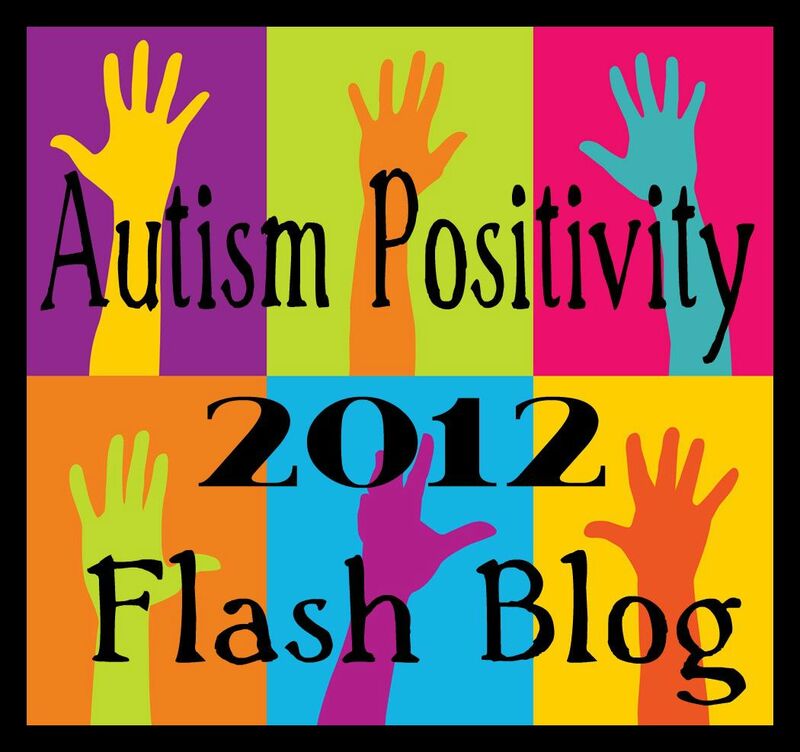 He was anxious because the schedule for additional support frequently did not coincide with his needs. I suppose it might be considered some kind of a behaviour problem that my son was so inconsiderate as to need support and accommodation when there was no one available to assist him. Yes… I’ll admit this is sarcasm, but it holds truth at its core, because the reality is that students like my son, who are not being effectively supported, are too frequently seen as a behaviour problem. Our children’s development is impeded when they cannot trust that the help they need will be there when they need it, and when their challenges are interpreted as misbehaviour the system is causing harm. I want my child to be in a public school where there is the time and space and resources and capacity to meet him where he is, not where he is seen as someone who must be dealt with or handled or managed. That is not the language of education. That is not the language of relationship, nor is it the language of respect and acceptance. Rather – it is the language of compliance: the language we might use when we are overtaxed and stressed, or when teaching a class is like trying to keep ants in a paper bag. In my experience – an anxious child should be pulled in closer to the teacher and given encouragement and support to successfully work through the situation. This builds the child’s confidence and gives the message, I believe in you. Instead – my child was in the hallway – hiding under his coat. …and the responses of government! I worry about the way that he was at times punished at school for his ‘lack of social understanding’ and was given the message (even if perhaps it was only implied in the reaction of others) that he was bad. I worry about the lingering effects of that message on his development of a sense of self and that he may feel that he lacks worth – or that he is not good enough. I worry about the shame my child might feel, and I find myself observing him closely to try to measure and determine the depth of its effect. I also worry about the messages of the media proclaiming that autism is a curse, a burden, an epidemic, or a tragedy – and that my child hears and processes messages like these. I have to work hard to undermine the effects of this and loosen shame’s hold. And sometimes I worry we do not have enough time – enough awareness – enough insight and understanding to mitigate the potential damage. The thing is, however… the most IMPORTANT thing… is that I do not want him to feel shame! I do not want him to feel that he is less because he processes and responds to the world differently than non Autistic people. So picture my kid – under his coat – in the hall – not near the teacher – and not in the class – and then imagine the thoughts of those passing by in the hall when they see him there… for the umpteenth time. What I am saying is that in addition to supporting the development of students with strategies and resources to navigate their way, our goal must also be to adapt the environment to make it a better match, and remove potential barriers. Sometimes this means changing our language, increasing response time, meeting sensory needs, supporting alternative forms of expression and communication, ensuring and protecting the space/pace/place to recharge, and a myriad of other things to honour the developmental strengths and stretches of our children. We can know this in theory – we can give teachers all the training – we can understand the language and believe in the pedagogy – but without the resources and capacity in the school system – the assurances of the class size and composition – all the best practice ideas and the best intentions are simply not enough. 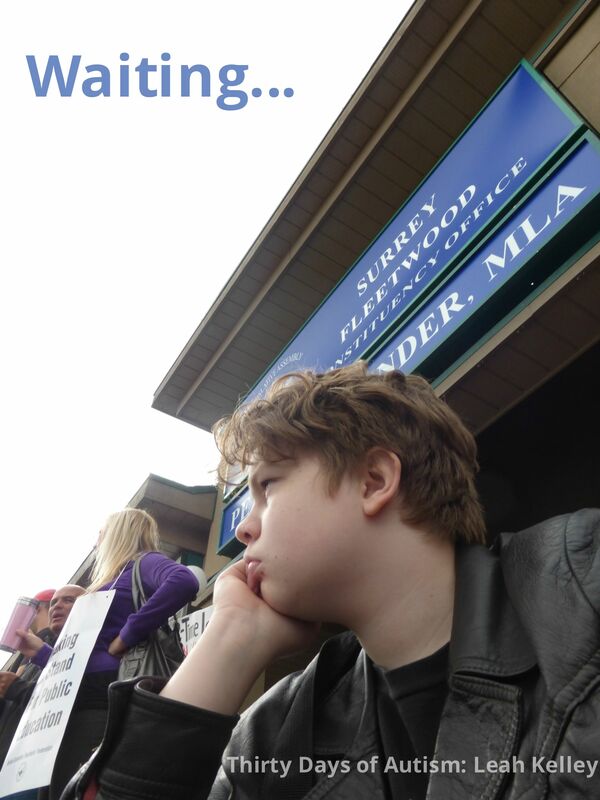 I would love for the Premier or the Minister of Education to explain to me why a child like mine is unable to get the services he needs to support him at his neighbourhood school, because I have to tell you – we certainly kept up our end of the deal! Explain to me how a child with a disability that makes it challenging to navigate the social aspects of the playground is somehow expected to handle recess and lunch with an adult just watching him from afar at the same time as they are supervising two or three other children needing extra support? Tell me why a child like mine who has language – but has processing challenges, and needs support with developing social communication, is unable to get speech and language support at his neighbourhood school? Explain to all of us why some children have such limited support that they are only able to attend school for a couple of hours each day. Explain why my child spent hour upon hour sitting in the hallway – unable to work at school as he was so stressed? I’d love to hear your take on the reason why a happy, sweet, and delightful boy on the Autism spectrum wound up feeling so badly about himself that we had to enlist the help of a child play therapist, and finally enroll him in a public distributed learning program to rescue him. The experiences of my son are representative of shortcomings that are systemic: our system is in poverty and schools are taxed with trying to service the intense and multiple needs of students with a myriad of challenges. So… the government wants teachers to consider students?? Well… when teachers stand up for class size and composition that is exactly what they are doing! They are considering my child, and other children with special education needs. They are considering every child who is enrolled in the public education system, and those who are working to support them in their schools! Our students are the future of British Columbia! The saddest thing is… this is their present!! Christy Clark says Children and families first! This entry was posted in ableism, acceptance, Autism, autism stigma, BC Teachers Federation, BCTF, Behaviour and tagged #bced, Autistic, BCCPAC, BCTF, Behaviour problem, Christy Clark, Class size and Composition, LTA, Minister of Education, misbehaviour, Peter Fassbender, Premier, public education, shame, Special Education, STA. Bookmark the permalink. Excellent honey. You continue to amaze me and teach me and humble me. Leah, this is remarkably like our own experience, almost exactly. My son has a learning difference called NVLD and he is gifted. He spends all his time out in the hallway, and we have also been considering distributed learning. My son, like yours, is a sweetheart, and I can’t tell you how many times teachers, SEA’s, admin, etc. would apologize to us that there were no resources to help our boy. He’s exactly the same age as your son. Just going into grade 10. His entire school life would have been different to this point if teachers had had the resources and funding and staffing they need to help children like ours. And this is why I’m standing with them now. I can’t stand to think of any more kids lives and school careers decimated. This needs to stop right NOW. Thank you for your brilliant writing, insight and wisdom. I draw great strength and comfort from your posts. I have been thinking about your comment all morning, Megan…. and I’ll admit that my eyes are leaking. I so appreciate your response and knowing that there are parents like you that are standing along side us. At the same time, it is hard to read how this post is touching so many with a similar story. I understand that this is the point of writing it, of course, but it saddens me that this is the experience of too many students. Hi. Thank you for writing this. Unfortunately private school isn’t any better. I have just pulled my children out and registered with Kleos Distributed Learning. Not an easy road any of us have.